Monday Montage Blog Hop – Week 103!!!! Hello friends! Welcome back to the Monday Montage Blog Hop! You may have gotten here from the amazing Bree Renwick’s blog, make sure you select the “next” button below and that will take you to the next stop on the hop, Dani Dziama’s lovely designs. I love, love, love the Cat Punch which matches perfectly with the Halloween DSP image! 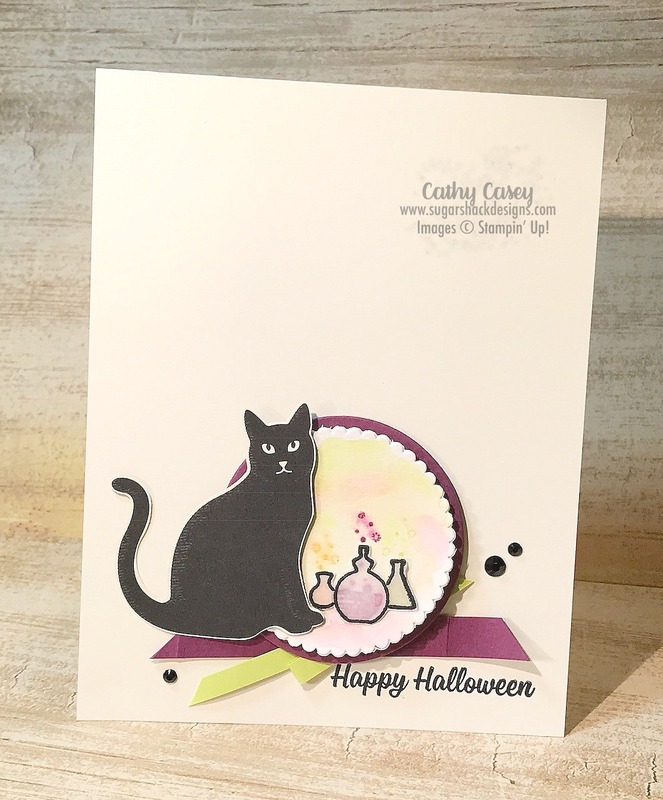 I was able to quickly punch out my cute little spooky cat and pop him onto my card. I stamped the cute potion jars onto vellum and then cut them out. I stamped the potions on watercolor paper and then watercolored over them with Lemon Lime Twist and Rich Razzleberry. Then I popped the vellum vials over the potions. I love the spooky twist this gives to the witchy potions. Again, I capitalized on the white space created by my Very Vanilla card base, my only other additions were the paper ribbons and the black rhinestones…yum. Make sure you go “back” if you missed Bree’s wonderful creation or you can loop on around by hitting the “next” button to get to Dani’s amazing work and the rest of the hop! 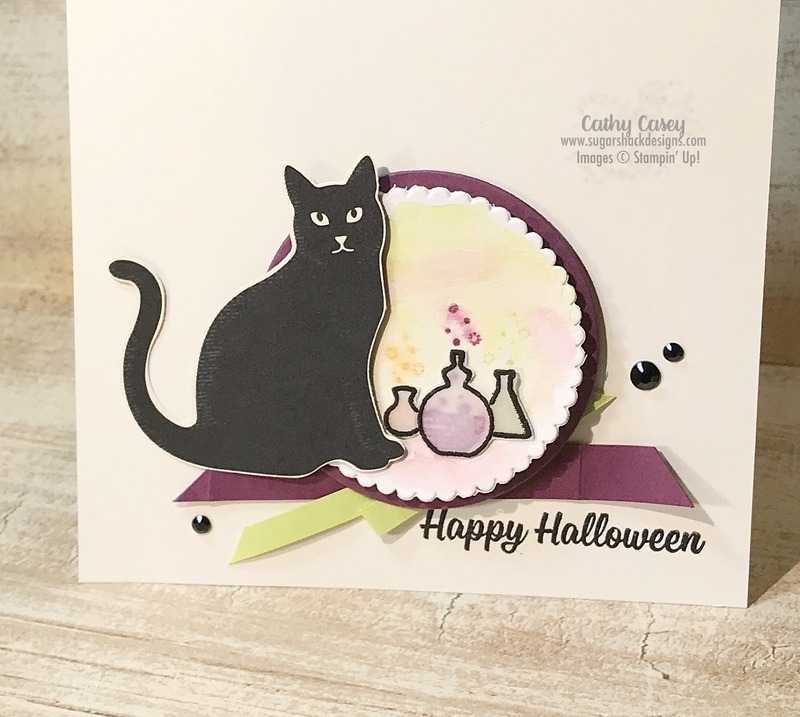 This entry was posted in Big Shot, Cards, Stampin' Up, Thinlits Dies and tagged Cat Punch, Create, DIY, Papercrafting, Papercrafts, Spooky Cat, Stampin' Up by kate80132. Bookmark the permalink.